Mozuud Freedom Foundation was pleased to co-sponsor the day long Teach-In on the Rule of Law, that provided a unique opportunity for people of many different backgrounds, ages, communities to learn how they can help uphold Canada's rule of law and pursue justice. A series of press releases tell the story. Below is a the first notice. Links to all the proceedings will be added to this site when available. In the wake of this tragedy, two questions should be asked by Canadians. First, why does Justin Trudeau always drag his feet to condemn terrorists who try to murder Jews? And will he condemn this attack on a Canadian and his pregant wife without being brow-beaten into it? Second, will Canadians continue to financially reward terrorists like the one who committed this attack? Justin Trudeau seemed content to let Canadian foreign aid be used as a Palestinian Arab “martyrs fund”, when the reward was just for murdering Israelis. The Martyrs' fund is a well-known aspect of the Palestinian Authority's platform, as it constitutes 7% of their annual budget, which is supplemented through foreign aid from Western nations like Canada. Canada also directly pays UNRWA, a sum which Trudeau increased from $20 million to $80 million this year; UNWRA, as I’m sure you have read, serves to educate the Palestinian Arabs in genocidal Jew-hatred and violent Jihad. You can learn more about Dr. Sherman on his website. Online registration will be available next week. I hope to see you on December 4! Is our Canadian Government subsidizing Terrorism? It is hard to believe that our government does not know what it is doing in this regard. Let’s hope nonetheless they are doing it out of ignorance. Because the Canadian Government is again subsidizing those who would kill us, and who ARE killing others! Is this incompetence? The Government seems to be in the thrall of Jihadists in their circle. Below is a petition asking the Liberal Government of Canada to STOP funding organizations with known links to terrorism. There are, as well, numerous links to articles by bona fide expert, Tom Quiggan, proving that this is happening. Please sign the petition and send it on to your friends, post it on Facebook and other social media. You’ll want to read at least some of the articles. You will be shocked! What is happening is beyond the unbelievable. But it is indeed happening. 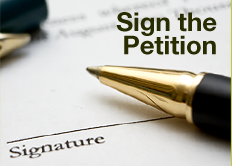 Please sign the Petition and encourage others to sign. The research by Tom Quiggin shows that our government is giving our tax dollars to charities with connections to terrorist organizations. Before signing you will want to understand what this is all about. Thus I have included several articles and videos below. As well, you can listen to the following podcast and hear Tom Quiggin explain how our tax dollars are funding terrorism. THE LINKS TO THESE ARTICLES ARE ALSO IN THE PETITION BUT ARE WORTH READING OR WATCHING. Click hear to watch a video explaining information in the 132 page report which alleges Canadian dollars are going to fund terrorism. PLEASE SHARE THIS EMAIL WITH FRIENDS AND FAMILY AND ENCOURAGE OTHER CANADIANS TO SIGN THE PETITION AND WRITE LETTERS TO THEIR MPs - help make this go viral. Tom Quiggin, a court-certified intelligence officer, with over 30 years of experience in counter-terrorism, has been kicked off of Google and YouTube before his new podcast even hit the air. The Quiggin Report was meant to tackle important issues related to civil liberties in Canada, such as Freedom of Speech and censorship. However, this was deemed too dangerous for people to hear by the observers at YouTube and Google, as they decided to block Tom Quiggin from using all google services. This brings up a troubling new chapter in the war against free speech. We have known for a long time that the Trudeau government has some very troubling ties to extremists, but now the giant tech companies have decided to silence anyone who will speak out against political Islam. This is worrying because the traditional legal methods to fight back against government tyranny are not available to us because Google is a corporation. Instead, we need to stand up so our voices will be heard, or else Google will slowly kill all dissent. So, please share this information by email or social media. To commit a minor act of rebellion you can listen to the Quiggin report here. Is there a terrorist out there that Justin Trudeau doesn’t like? Justin Trudeau’s family vacation to India turned from a national embarrassment to an international incident whenJaspal Atwal, a former member of the International Sikh Youth Federation, a banned terrorist group in Canada, the U.K., the U.S., and India, was invited to dine with Prime Minister Justin Trudeau at a formal event hosted by the Canadian High Commissioner on Thursday in Delhi. Atwal was convicted, in a Canadian court, of the attempted murder of Indian cabinet minister, Malkiat Singh Sidhu, on Vancouver Island in 1986 and was also charged, but not convicted, for a 1985 near-fatal attack on Ujjal Dosanjh who later became premier of British Columbia. In one move, Justin Trudeau has managed to sour our relationship with India, embarrass Canada, support terrorism and undermine our legal system. Enough is enough. Trudeau’s rule gets more dangerous every day he is in office. On February 10th, Iran committed an act of war against Israel by sending a military drone into Israeli airspace. The world was silent, except for the parts of the Western media that labeled Israel the aggressor. One would expect that when a country (Iran) threatens another (Israel) with nuclear destruction and then violates its airspace, that that would spark international condemnation. Yet, when the Jewish state is involved, it works differently. Somehow the Western world is unwilling to come to terms with the idea that the Jewish state has a right to self-defense. Join us this Sunday, February 18th at Holy Blossom Temple when Melanie Phillips will address the current issues facing Israel and the rest of the Western world. In the 21st century, anyone who chooses to be a “dissident Muslim” must deal with serious loneliness. Non-Muslims imagine that all Muslims are more or less the same. Muslims usually regard their faith as obvious and true, so who could dissent from it? “I am one of those Muslims who is at home in the West,” Mansur writes. He was born to an Indian Muslim family and received much of his education in the West, including his Ph.D. at the University of Toronto. He believes he’s deeply aware of the culture and politics on both sides of the West/Islam divide. Mansur’sThe Qur’an Problem and Islamism: Reflections of a Dissident Muslim (Mantua Books), is an attempt to clarify the Islamist teachings that have placed Muslims at the center of a long-running international crisis. At the end of the 20th century, most of us viewed Muslims as adherents of an outdated but harmless religion, limited to one region and one cultural group, the Arabs. Since the eruptions that followed 2001 we have been learning how wrong we were. Mansur’s cool, intelligent overview of his own faith tells us we still have a lot to learn.